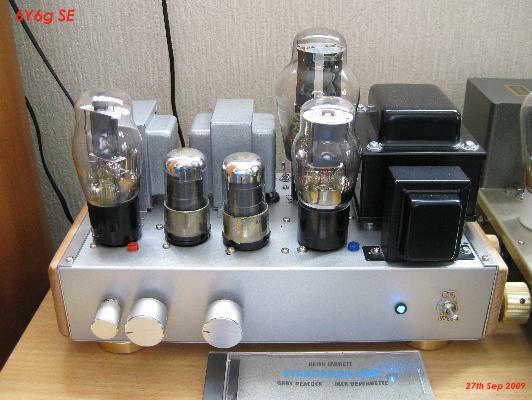 name of valve which call is VT52 but penthode.originaly VT52 is triode and just same as RCA 45.
some audio file said charactor of EL32 wired connection triode is very beautiful curve. 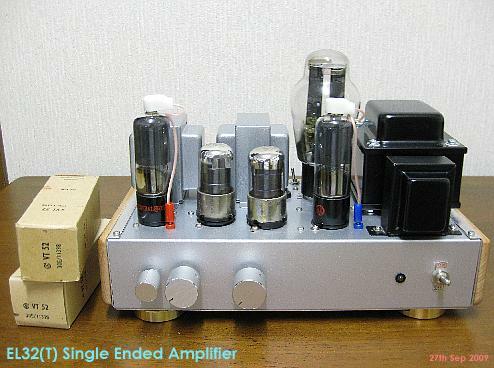 EL32/EL2 Single Ended Triode connection Amplifier.same time can be use 6Y6 SE. because 6Y6 and EL32 are just same IP-EP charactor. 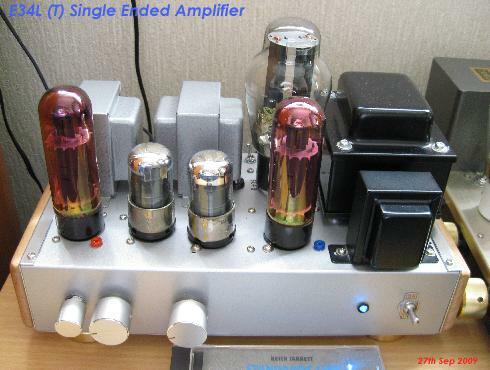 EL34 wired triode connection of +B is 360V if when use self bias condition. 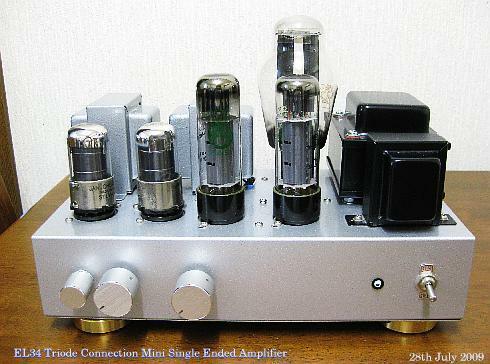 Heating Triode .very clear sound getting and Jazz Piano plays good.even female vocal. primary.this transformer is universal transformer.Max 7W rms input. 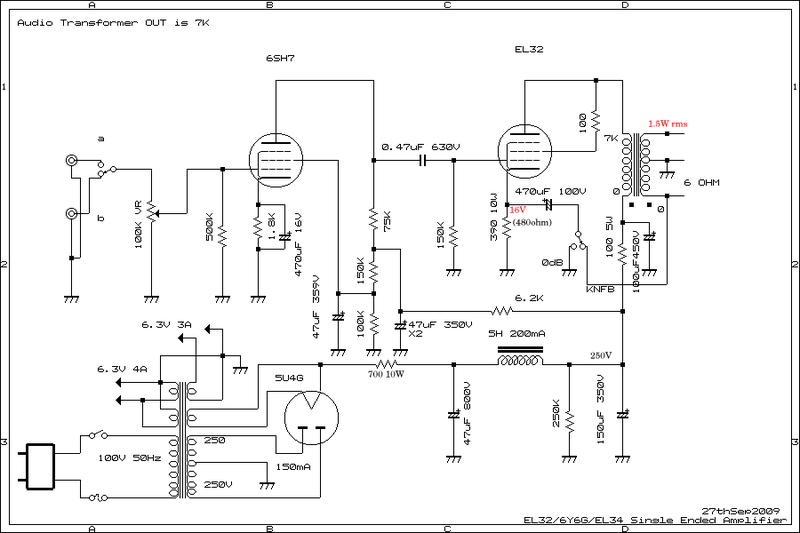 finally circuit is UL SE, sound is very clear sound. 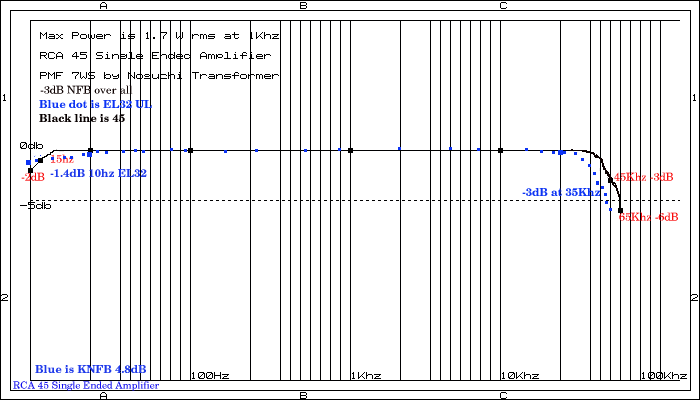 Transformer if using XE-20S Tango response reach to 100Khz easly. 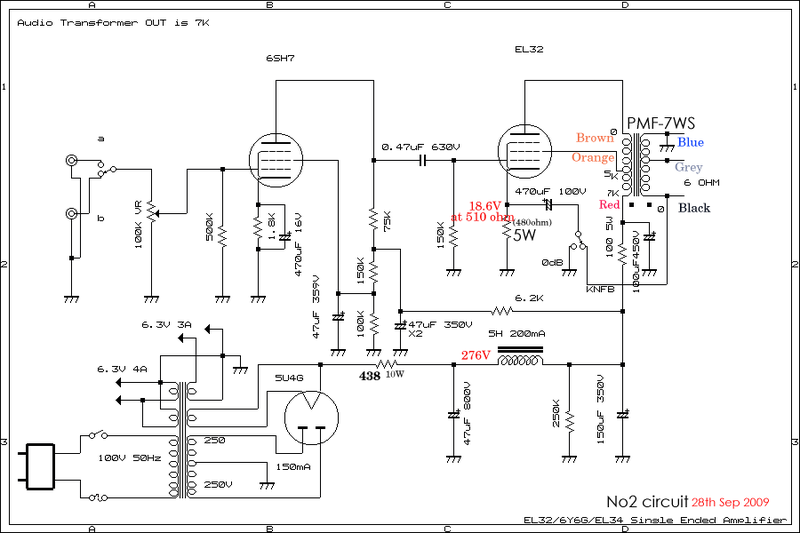 Max power is 2.6W rms and non Distortion power is around 2 Wrms.